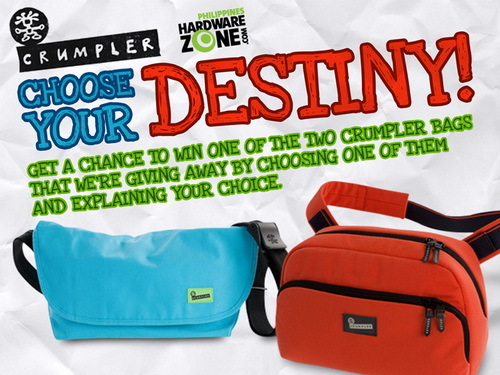 HardwareZone.com.ph, in partnership with Crumpler Philippines, is giving away two Crumpler bags this month! Interested? Join the contest by choosing between the Crumpler Ludicrous Debacle and the Crumpler Sebang Outpost, and explain why you chose the desired Crumpler bag. 1. The Crumpler Choose Your Destiny Contest is open to Filipino citizens who are currently residing in the Philippines and are of legal age. 3. Participants must like the following Facebook fan pages: HardwareZone Philippines (www.facebook.com/HardwareZonePH) and Crumpler Philippines (https://www.facebook.com/ CrumplerPhilippines). 4. To join, post on the official contest thread a short paragraph, captioned photo, or a video that explains why you chose the desired Crumpler bag. 5. The criteria for judging include uniqueness, wittiness, and popularity (number of Facebook likes). 6. HardwareZone Philippines will announce the winner on HardwareZone.com.ph’s Forums and social networking channels. 7. The winner must not be related to HardwareZone Philippines or Crumpler Philippines in any way. 9. The contest will run from June 24 to July 5 2013. I guess my answer would be, crumpler is one expensive bag though for it's price you are paying for the quality of it. which is why I always have plans on buying a bag for our tech gear. Crumpler is a trusted brand. I am very much confident that all my handy gadgets and objects will be in perfect shape because they are well-protected from external elements because of the durability of the materials that Crumpler uses on all of its products. They also provide an excellent after sales support 'Til Death Do Us Part Warranty' that is why I am very much assured that every bag coming out of the Crumpler manufacturing plant is the best of its kind. Thank you for submitting your entries. We just want to emphasize that the contest has ended on July 5, 2013. Watch out for our upcoming promos! Will there be winners ba? 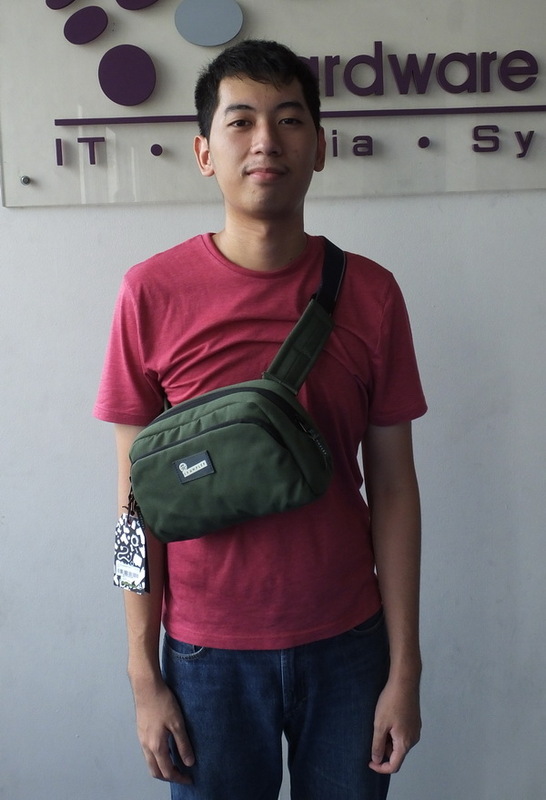 We are giving the Sebang Outpost as a special prize to Matthew Pua a.k.a. chooks.to.go for participating in the contest and submitting the best entry. Congratulations and thank you!